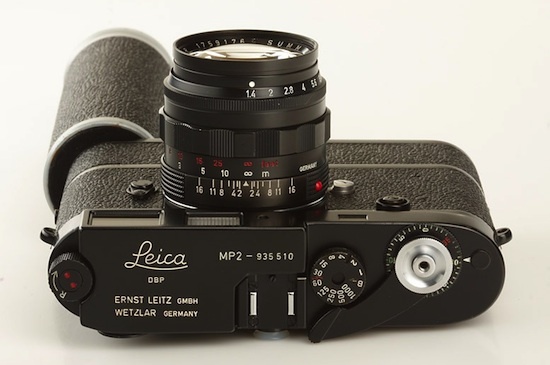 "The MP-2 was the first experimental M cameras with electric motor drive built in the late 1950's, only 6 cameras were produced in black paint finish, only 4 are known to exist"
"In the year 1936 Leitz offered a camera for 10 meters of film for 250 exposures – the Leica 250 or the “Reporter.” During World War II some of the Leica 250s were delivered for use in aerial combat. 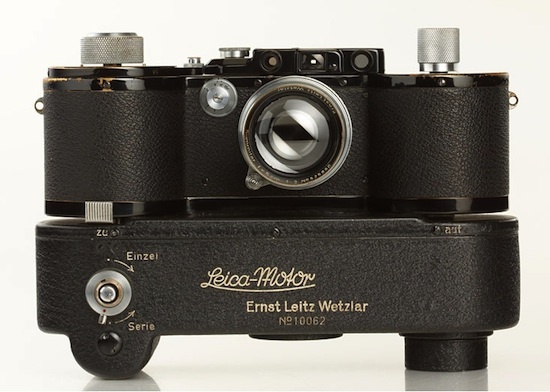 In order to be able to operate the film transport and make a series of shots in the extreme conditions outside a fighter plane, Leitz developed a powerful and reliable electric drive, it was Leica's first electric motor drive. 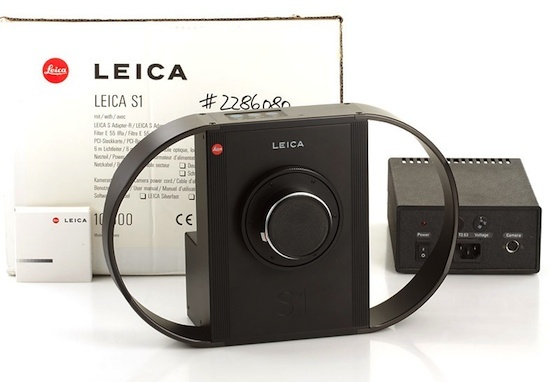 In total 92 specimens of the Leica 250 with electric motor were delivered, less than 15 are known to exist." "A high resolution scanner camera with CCD chip (resolution of 26 million, 5140 x 5140 pixels and 36 bit depth). 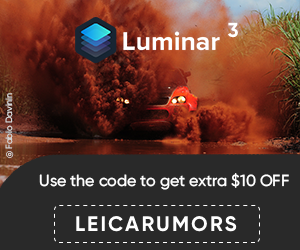 Only about 150 camera were sold, the new price was approx. Euro 17000"